On the tail of it's two most recent aircraft launches, the Boeing 737 MAX and the 777X, Boeing is facing pressure to resurrect one of its classic and most popular aircraft, the 757. Production of the 757 ended almost exactly 10 years ago, but competitor Airbus has turned up the heat in the market segment. The last completely new "clean sheet" aircraft to hit the market for Boeing and Airbus were the 787 and A350, respectively. The 787-8 has been flying for a few years now while the first examples of the stretched 787-9 have been delivered to airlines this year. For the Airbus A350, the first delivery is expected to launch customer Qatar Airways pretty much any day now. But taking a look into the crystal ball of aircraft production, Boeing is behind the 8 ball in a very specific segment — the narrowbody long-haul market. Airbus is currently the only option if an airline wants a narrowbody plane with more than 200 seats. Why is that a big deal? Fleet commonality. Fleet commonality gives airlines and its pilots a break in terms of maintenance and training. This is a huge reason why airlines like Alaska and Southwest have stuck to 737's for decades. Airbus and Boeing are like Canon and Nikon to photographers — equally capable, but so different when you get your hands on the product. The A321 seats 200-243 passengers, depending on how it's configured, and Boeing has nothing to match that. A gap in the product line for Boeing means they're losing orders to Airbus. Airbus has received 724 orders for its yet-to-be-built A321neo, an upgraded version of the A321 with more efficient engines. Airbus is also exploring an extended range version of the A321neo. Airbus spokeswoman Mary Anne Greczyn told The Daily Herald that extra fuel tanks would allow the plane to surpass the 757-200 range of 3,900 nautical miles. American Airlines is said to be "highly interested" and exploring this longer range aircraft. Boeing's classic 757-200 is a mainstay in American Airlines' fleet, and Airbus has said the A321neo promises to be 25 percent more fuel efficient than the 757-200. That difference is huge. Boeing's only offering is the stretched 737-900ER. Fuel prices, being one of airlines' top 3 expenditures, continue to dominate airlines' fleet choices and network planning. Boeing also came out this week and said there will be an all new narrowbody replacement on the market for its 737 by the year 2030. 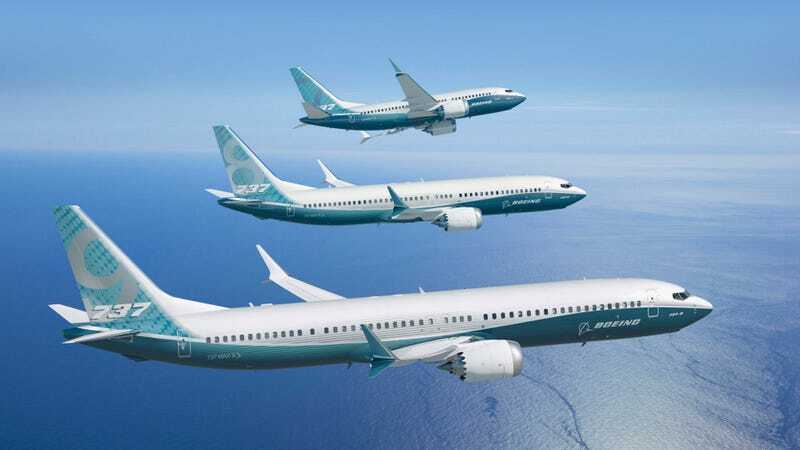 Boeing's CEO Jim McNerney said this week that the company is working on a clean-sheet replacement for the 737. He said, "By 2030, we will have a new airplane." The next plane will be slightly larger than the current 737 (hopefully in width) but that the overall shape won't change dramatically. McNerney also said it would likely be a composite structure, something only seen in the 787 currently. Earlier this decade, Boeing was evaluating an all-new clean sheet 737 replacement, but when Airbus decided to slap some new engines on the A320 and call it good, Boeing also decided that was the best route at the time. Over the next 20 years, Boeing expects deliveries of narrowbody planes to consume 70 percent of its deliveries.